Prove the Pythagorean theorem myself with no help. Do it from scratch geometrically. 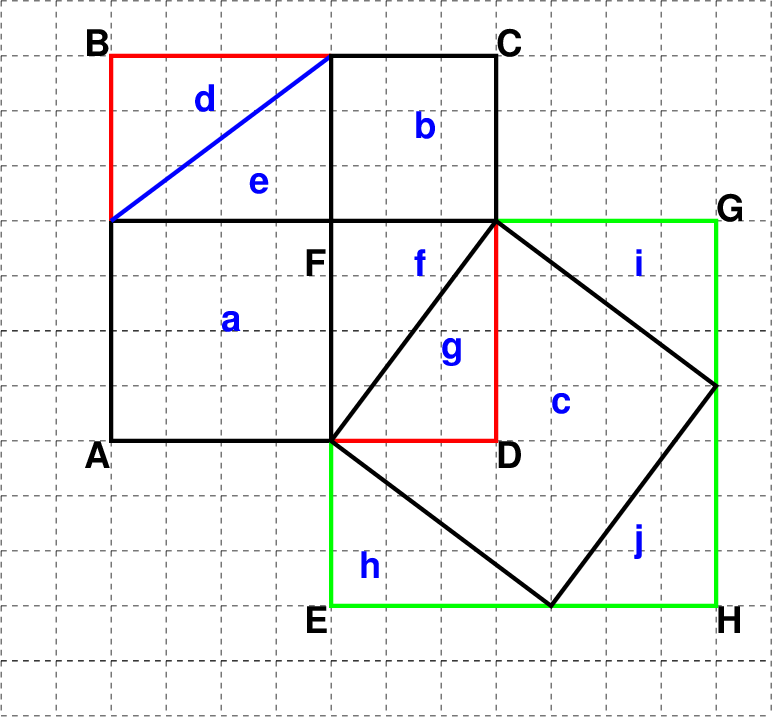 Equal Areas: triangles d, e, f, g, h, i, j ≡ T since they are all 3 × 4. Any other side sizes also work. Link to many proofs: http://www.cut-the-knot.org/pythagoras/index.shtml #24 has a picture of a diagram like mine without explanation.